Over the past 2 months I have scouted over 300 incoming rookies and analyzed hours upon hours of their game film dating back to the NFL Scouting Combine back in February. I have narrowed these players to a short list of about 35 players I would love to see the Seahawks draft this weekend. Of the players on my board, there is a shorter list of 5 players I believe would be perfect fits Darrell Bevell’s offense or Kris Richard’s defense. I would be over-the-moon ecstatic to see the Seahawks select any of the following players on either Friday or Saturday. 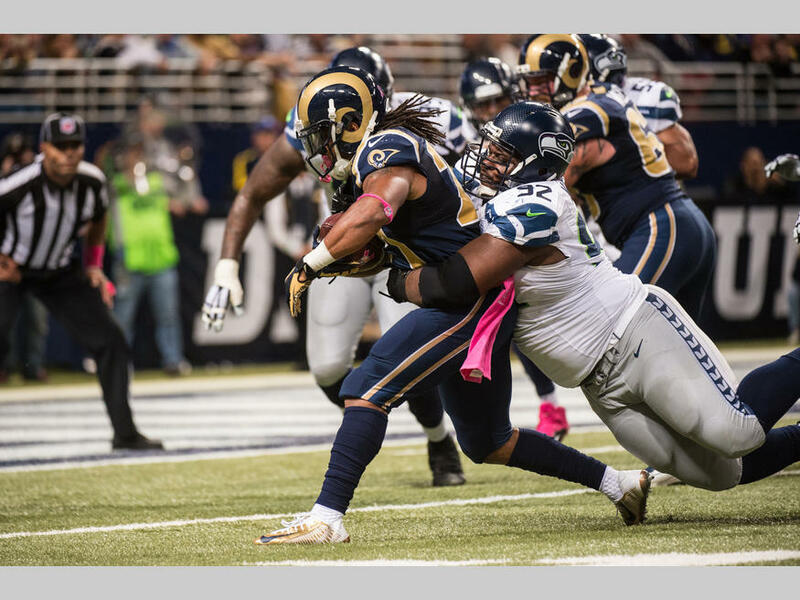 There is no question that the Seahawks are desperate for offensive line depth, especially after the trade of center Max Unger to the New Orleans Saints and losing guard James Carpenter to the New York Jets in free agency. 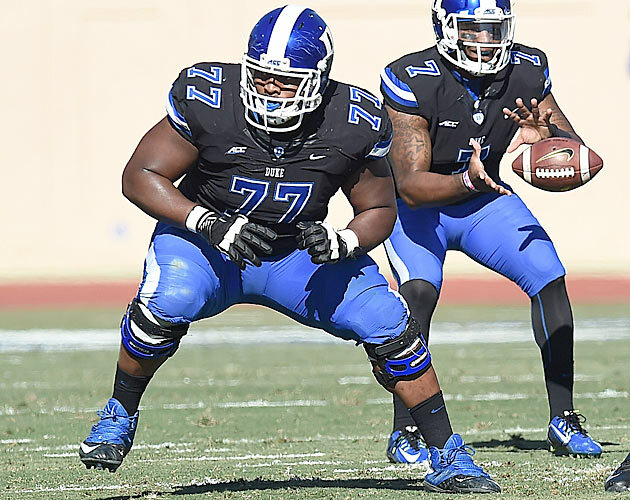 Laken Tomlinson from Duke would be a perfect fit in the middle of the line. Tomlinson is a fantastic run blocker and an excellent pass blocker, especially down field on screen passes. He is a tough player who bullies his opponents. Offensive linemen usually do not get mentioned on the television broadcast of their games but Tomlinson’s name was brought up positively several times on each game of his I watched. I do not think he would come into camp as the definite starter at left guard, but I believe an open competition between him and Alvin Bailey could put Tomlinson in a fantastic position to win the job. 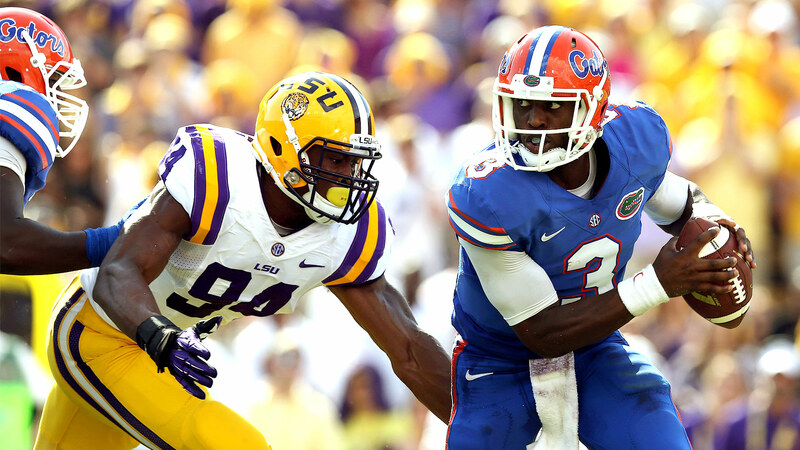 Explosive pass rushers can oftentimes be very hard to find after the first round. I believe that LSU’s Danielle Hunter is the best “second day” pass rusher available and could very much still be on the board when the Seahawks pick at #63 overall. Hunter is extremely fast off the line of scrimmage and he does not have any problems getting past his initial blocker. He does a great job of collapsing the pocket even if he himself cannot get to the quarterback. He has a relentless motor that I believe will not keep John Schneider wary of his on-field effort. Hunter is arguably the best defensive lineman I watched film on and could be a steal for the Seahawks at the end of the second round. In a talent-rich wide receiver class, Kenny Bell from Nebraska stood out to me. He is Nebraska’s all-time leader in receptions and receiving yards and was a team captain in 2014. He was widely regarded as Nebraska’s most respected player during his time there which I believe would blend tremendously with the leadership the Seahawks possess, especially with Russell Wilson as his potential quarterback. On the field he possesses many traits that would put him right in the middle of the wide receiver rotation in 2015. Bell is 6’1 which would buck the trend of shorter receivers on our roster. Bell can line all over but could best be used on the outside as either a flanker or split end. Bell runs his routes with great timing and adjusts his routes extremely well to put himself in the best position to make the catch. He also has great hands and is nearly immune to dropping passes. That’s not to say he doesn’t drop a pass every once in a blue moon because he does. Bell’s most impressive on-field trait perhaps is his breakaway speed on vertical routes, which would give Wilson a very dependable and trustworthy weapon when throwing deep. To me, Heeney is a poor man’s Luke Kuechly. He carries many similar traits on the field to that of Kuechly but his projection as a day three pick goes to show there may be a bit of uncertainly. I like him and selecting him could provide a solid player to compete with Brock Coyle and Heath Farwell for the backup middle linebacker job. Heeney does a good job reading the quarterback’s eyes but he can be a bit hesitant committing where to go when the quarterback drops back to pass. He is a solid fundamental tackler and always seems to go low to wrap up the ball carrier. His biggest weakness is that he is not a bully, and his tenacity comes into question. Nevertheless I believe he would be a solid player to take a flyer on in the later rounds of the draft. In a rather underwhelming class of safeties, I wound up getting really excited while watching tape of Central Florida’s Clayton Geathers. 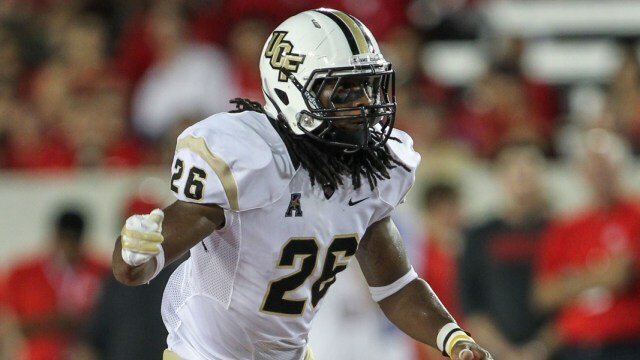 I believe Geathers is the closest thing to Kam Chancellor this draft has to offer. Geathers is a punisher who is not afraid to lay a big hit on a receiver going over the middle. He plays tight coverage and does a great job in pass coverage but at times he can be overeager. 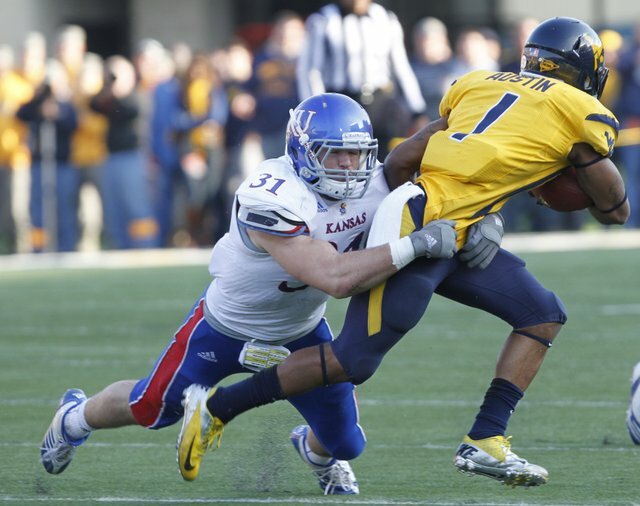 One play really stood out to me, an interception he made last season against the University of Houston. Geathers jumping in front of the pass, picking it off, and running it back to the house for a touchdown was almost a spitting image of Chancellor’s pick-six in the playoffs against Carolina. I believe he would fit extremely well in the Legion of Boom. He is absolutely my favorite defensive player available and would be an absolute steal in the last round of the draft. I project him as a 7th rounder but it honestly would not surprise me one bit to see him selected in round 5 or even as early as round 4 if a team is as in love with him as I am. The road to Super Bowl 50 has been paved. On Tuesday night the NFL regular season schedule was released. Here now are my thoughts on what the Seahawks will be up against this fall. The Seahawks bye week falls in week 9 this season. In my opinion week 9 is the best week to have your bye because it splits your season evenly into two halves. The first half of the season has the Seahawks playing 5 of their 8 road games including the home openers of two different teams; at St. Louis during “Back to Football” weekend and at Green Bay in week 2. The back half of the Seahawks schedule is loaded with attractive home games, including three consecutive home games in the month of November. Last season the Seahawks played 5 of their last 6 games against NFC West opponents. This season however our divisional matchups are more spread out across the entire season. The Seahawks will open their season on the road against the Rams and will not play another divisional game until week 7 when the Seahawks head to bay area to play the San Francisco 49ers. The Seahawks will also play back-to-back divisional games in both November and December. This season Seattle is scheduled 5 primetime games, two of which taking place at CenturyLink Field. The Seahawks will play three games on Sunday Night Football, one game on Monday Night Football, and one game on Thursday Night Football. Earlier this week I predicted which games I thought would be scheduled into primetime. I guessed two games correctly (Cardinals at home, Packers on the road). I am glad to see Monday Night Football come back to town for the first time since 2013 and I am also excited that our Sunday Night home game against Arizona will take place after daylight savings time, meaning the sun will have gone down and it will be dark by the time kickoff rolls around. … On November 29th. In 2011 the NFL changed their scheduling formula, sending the Seahawks back on the road to face the Pittsburgh Steelers instead of having the Steelers visit Seattle. This year we get the matchup many 12’s have been waiting for since February 5th, 2006. The Steelers come to town to wrap up Thanksgiving weekend in a rematch of Super Bowl XL, a game that many Seahawks fans still feel bitter about. For me personally this matchup has been in the back of my mind since it was announced Pittsburgh would come to town several years ago. Although the Seahawks are not Lombardi-less anymore, I think this game should still be considered a “revenge” game. Players and coaches have come and gone over the past 9 years but the sting of having that game taken away from us will never fully go away. I sincerely hope the 12th Man makes it audible what this game means to us. I hope that when the Steelers run out of their tunnel, we all boo louder than we have ever booed an opponent before. I feel the Seahawks got off relatively easy in regards to the strength of their schedule in the month of December. The game that I see could be the biggest game of the season is our Sunday Night matchup against the Baltimore Ravens on December 13th. With the hunt for the playoffs sure to be heating up, this game could be the difference between us controlling our own destiny in the final three weeks and us facing an uphill battle against the rest of our division. Our two home games in weeks 15 and 16 are wins on paper. The season finale at Arizona is a nice change from playing St. Louis at home 4 out of the last 5 seasons. If Arizona can stay healthy, it wouldn’t surprise me to see that game be flexed into Sunday Night Football with the NFC West title on the line. 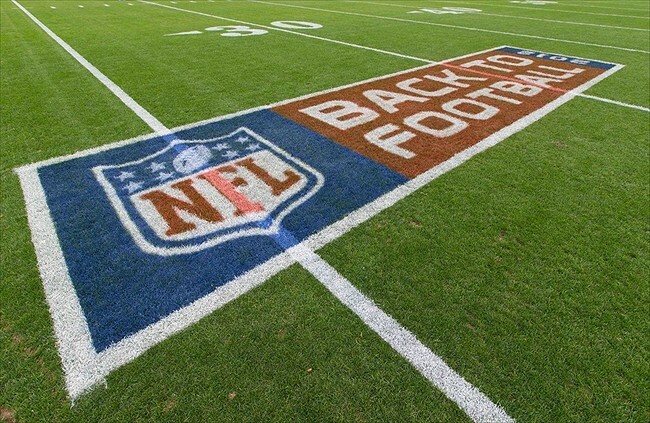 Tomorrow night the NFL will release the 2015 regular season schedule. This is a day many fans and season ticket holders look forward to, as we will know when we play our opponents and when we may be heading on the road for away game road trips during the fall. Any given team can be scheduled a maximum of five primetime games at the time of the schedule release and can earn one additional game flexed into primetime during the season. The Seahawks are the defending NFC Champions and will likely play at least four games in primetime this season. Usually a team who had that much success during the previous season would be a lock to have five games scheduled in primetime however as the defending Super Bowl champions last season, the Seahawks only played in four nationally televised games. This season I believe the Seahawks will be scheduled five primetime games. These are the matchups I predict will be shown under the lights on national television. The San Francisco 49ers have faded into mediocrity and the Arizona Cardinals have emerged as the primary threat to dethrone the Seahawks as NFC West Champions. The Seahawks have played the Cardinals in primetime each of the last two seasons however both of those games were played in Arizona. The Seahawks have never hosted the Cardinals in primetime since moving to the NFC West in 2002 and this upcoming season may be the best opportunity for this matchup to happen on national television. I could see this game being played on either Sunday Night Football or Monday Night Football, however I believe SNF is more likely. If Detroit had defeated Dallas in last year’s Wild-Card playoff game the Lions would have come to Seattle to play the Seahawks in the Divisional round. The Cowboys won instead, and instead of the Lions coming to town the Seahawks hosted the Carolina Panthers. The Lions are one of four 2014 playoff teams to play the Seahawks at CenturyLink Field in 2015. They are an up-and-coming team that I believe could challenge Green Bay for the NFC North crown this season. On top of the talent Detroit possesses on both sides of the ball, the homecoming of former Seahawks wide receiver Golden Tate is a storyline that would not go unnoticed in the days leading up to the game. I believe this game is best suited for Monday Night Football on ESPN. Any Dallas Cowboys game is a candidate to be scheduled into primetime but let’s look at the resumes of both teams. Both the Seahawks and Cowboys won their divisions last season, they came one Dez Bryant non-catch away from meeting in the NFC Championship Game, and the Cowboys delivered the only blemish to Seattle’s home record in 2014, a 30-23 loss last October. Although they have lost key production on offense, specifically at running back, the Cowboys are primed to be a serious contender in 2015. If the Seahawks had not played on Thanksgiving last season I would think this game could definitely be worth scheduling as the afternoon matchup on turkey day. The reality is the NFL will not schedule a team on Thanksgiving back-to-back seasons on the road. NBC will likely get this matchup for one of the better Sunday Night Football matchups of the season. This is another matchup that could be destined for Sunday Night Football even though it may be more appropriate on Monday Night Football. Think about the three matchups against Green Bay dating back to 2012: the Fail Mary, the Seahawks 20-point blowout win on NFL Kickoff 2014, and the miracle comeback in the NFC Championship Game three months ago. This is the Seahawks first trip to Green Bay in the regular season since 2009 and given the recent history between these two teams, it will certainly be a hostile environment for the Seahawks to handle. I would be stunned if this game is not scheduled in primetime. If it is not it will certainly be “America’s Game of the Week” on FOX in the 1:25pm time slot. Only 6 teams do not get one of their games scheduled on Thursday Night Football each season. Any team’s odds of playing one game on TNF are high but the Seahawks chances are exceedingly high in 2015 given that they were one of the 6 teams who did not play on TNF last season (last year’s Thanksgiving game was an NBC game, not an NFL Network/CBS Thursday night game). 13 Thursday Night games in 2014 were division rivalries. I believe the Rams would be the most likely opponent for the Seahawks to play on Thursday Night Football.